My goal was to look around each of the 5 (cinque) towns comprising the Cinque Terre. And I was going to hike it. In one day. Fortunately it was rainy and there were strong recommendations to avoid the trails. Using the train--it stops in every town--I managed to get to each town and make it back for dinner at the end of the day. I was tired. It was beautiful. Even though our stay in Cinque Terre was in late April, there were many flowers in bloom and trees leafing out. A lot of the plant life reminded me of California: plants beautiful when there's plenty of water, and hardy enough to survive a drought. 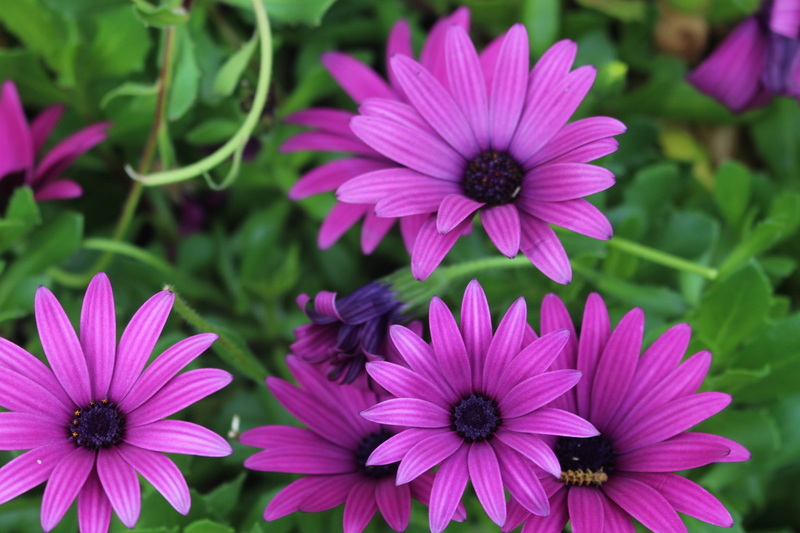 Besides it's fun to photograph plants--they tend to stay still and smile constantly. 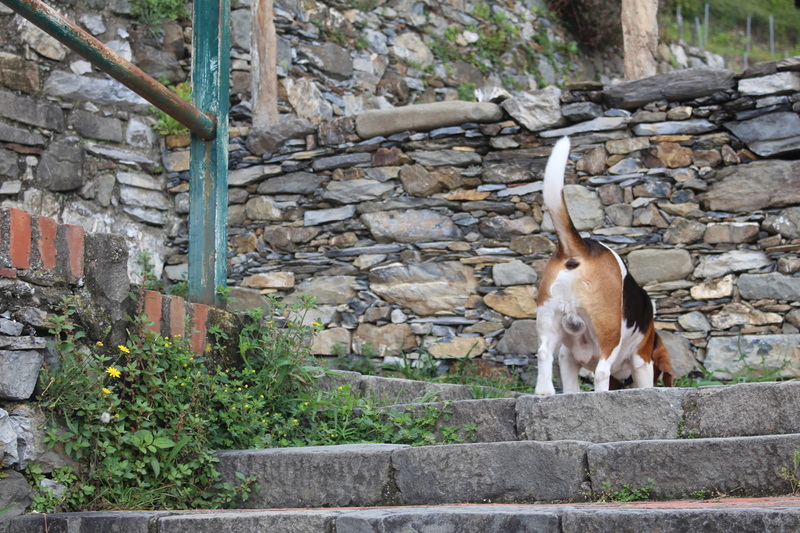 I saw this beagle hanging out at the train station when I arrived in Corneglia. I had read about the hike up to town, but was surprised by the climb anyway. Especially when the beagle caught up to me and passed me by on his, I guess, daily walk up from the train. There are 365 steps, or so, which does not account for leg length. There were a lot of steps.